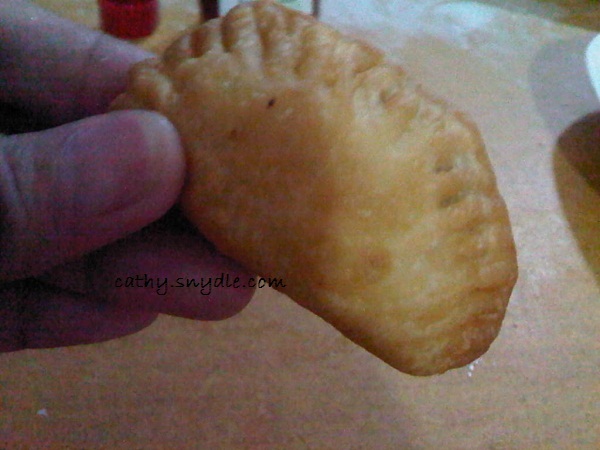 Looking for quick and easy empanada recipe? 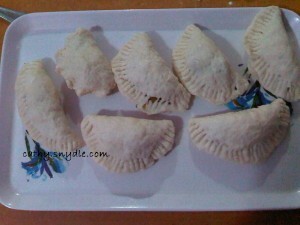 I got one recipe here that you should try if you want a tasty empanaditas or small empanada. What are empanadas? 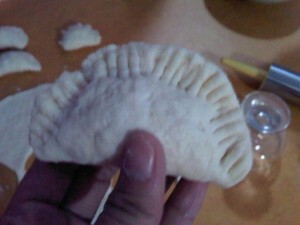 These are pasty stuffed with meat (chicken, pork or beef), carrots, and potato. This empanada recipe is stuffed with ground pork. 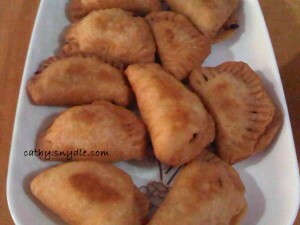 My empanada recipe is similar to the recipes you will find online. So, don’t be surprised, the difference is that I have made my recipe easier to follow as I have step by step pics. 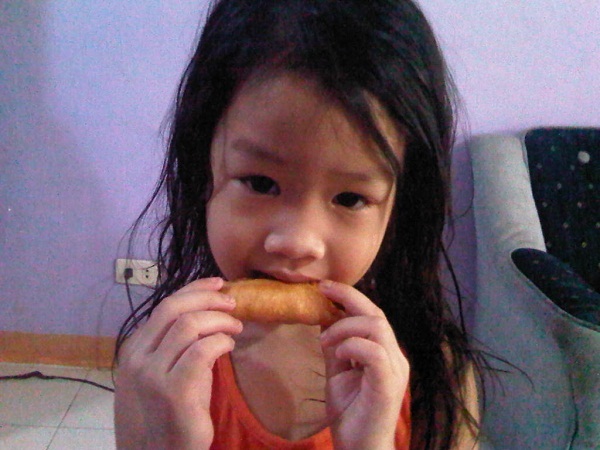 My youngest daughter trying my pork empanadas recipe. Empanadas or empanaditas can be baked or deep fry. If you want your empanada crust to have flaky texture then baked. This empanada recipe is deep fry, but you can still bake them if you hate frying. 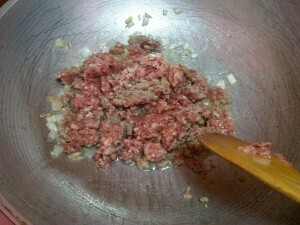 In a medium size pan, heat oil and sauté garlic and onions then put into the pan the ground pork. 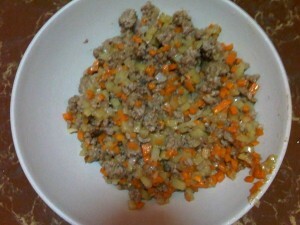 Cook until half done then add the diced potatoes and carrots. Season with salt and pepper and set aside. 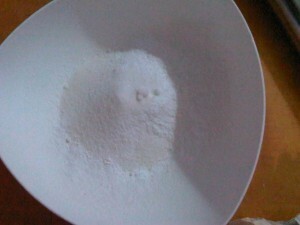 To make the pastry, sift the all purpose flour, baking powder and sugar in large bowl. 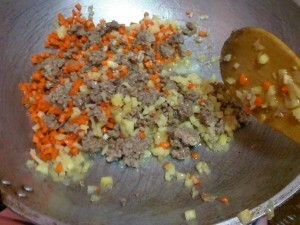 Add the butter then the water little by little while mixing the mixture till moistened. 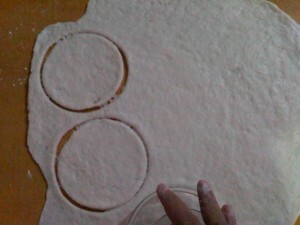 Form dough into large ball and flatten out on a clean surface and roll into a log or rectangle, about ¼ thick. Roll out the log and cut out each piece of dough using a cookie cutter or large glass. 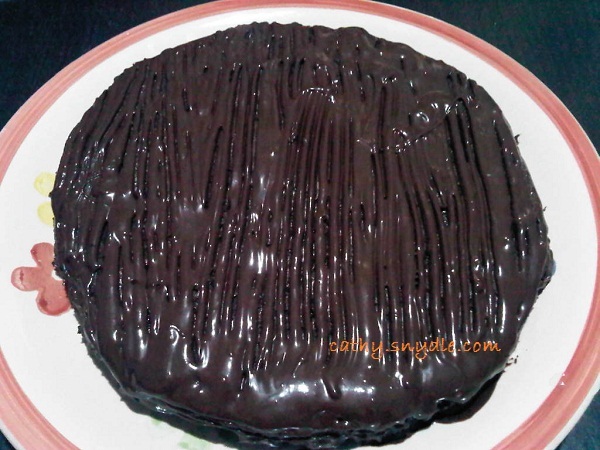 Get one circular piece that you have cut out and place a tablespoon of the filling you have prepared earlier at the center. Seal the edges with a fork. Repeat the process until all dough has been used. 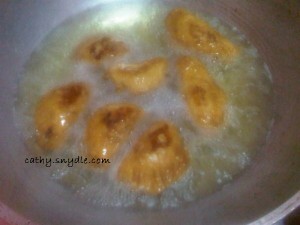 In a large pan, heat oil and deep fry the empanadas until slightly golden. Thanks for checking out my empanada recipe. Please let me know what you think, i love reading comments from my readers. 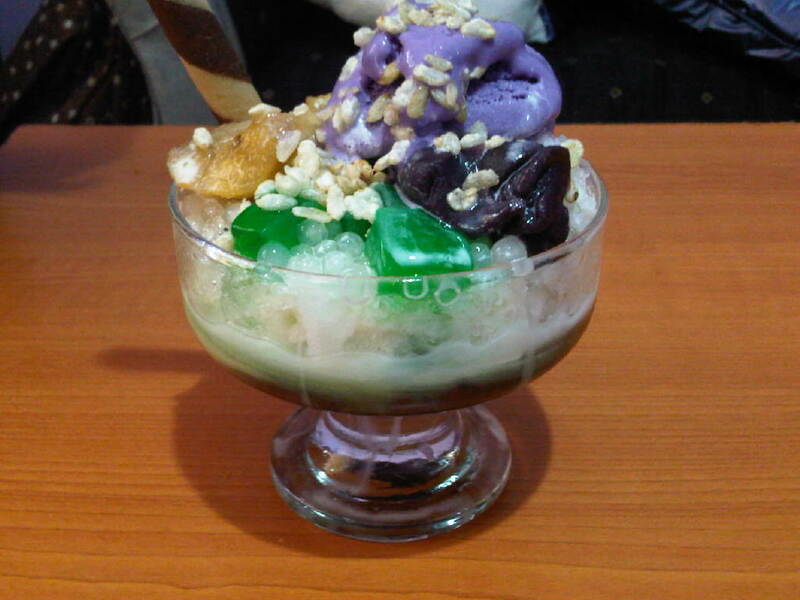 Have a nice day and happy cooking!